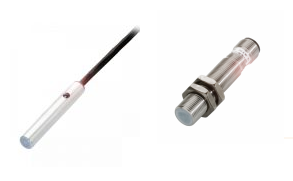 Capacitive sensing technology allows for detection of several different target materials from food substances to plastics, oil or glue to fine powders. 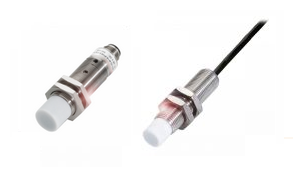 We manufacture and sell proximity and level detection capacitive sensors that will easily integrate into your existing system, or can be designed for a new application. Our cylindrical capacitive line includes a range of housing diameters, adjustable sensing distance, flush and non-flush mounting options. We offer contact-free proximity detection or level detection of bulk/liquid product directly or through a container wall. Contact our customer support services at 1-800-356-2661 to discuss the best solution for your application needs.